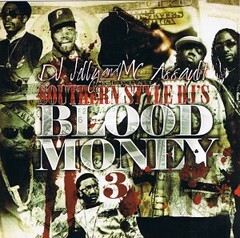 Yet another dirty south mixtape brought to you by the “Southern Style DJs” called “Blood Money 3“. Blood Money 3 crunk mixtape holds 15 party tracks, compiled and mixed by the dirtiest DJs from the south: Southern Style DJs. Feel free to download this crunk mixtape to you pc. The download link can be found below. DJ Jelly and MC Assault presenting Southern Style DJS, bring you another tight crunk mixtape, Dat Kush 2 – The Mixtape. This southern rap mixtape (Dat Kush 2) was released on July 2006. Important to mention about this crunk mixtape: it’s a continous musical mix! Crunk.wordpress.com proudly offers you a torrent to download this dirty south mixtape. Scroll down for the download link. 05.What You KNow (T.K.O. remix) – T.I./Teddy P/E.W.F. 14.Hustlin (Summerbreeze remix) – Rick Ross/Isley Bros.
15.ATL (Atlantis Remix) – Baby D/The Isley Bros.
You are currently browsing the archives for the Crunk Mixtapes category.